"We set about creating music which blurs the line between the real and imagined landscapes in order to allow individuals to revaluate their own mythologies and provide new ideas to bring them closer to harmony with their urban surroundings." This is the Psychogeographical Commission. Whilst this may appear to be an over-elaborate concept for a music project, there’s no denying that Patient Zero fits this description quite aptly. There’s a homely familiarity within the cosy loops of melody, and the lyrics that touch of the clichéd and mindless activities of day-to-day, the field recordings of traffic – but the album digs within the mind and beyond the heavens, with whirr of electronics and cavernous soundscapes taking Patient Zero beyond the shallow surface of reality into both spiritual and astrological territory. But regardless of whether you’re familiar with the concept prior to listening, the album still follows an unpredictable narrative. Streams of gloomy, prophesising folk melt into dark ambient passages and then on into the cold throb of electronic beats, and the Commission sound effortless in shifting between them. It’s well gauged, so that the album’s melodic elements linger long enough to sink in, but give way before the listener feels too comfortable and in control. After last years's stunning debut Genius Loci, The Psychogeographical Commission return with Patient Zero. Patient Zero "attempts to psychologically portray the mind of a Patient Zero, wandering through their urban surroundings infected with the solar downturn at the Summer Solstice and tracking the advancements of symptoms as the sun goes from the height of its earthly power to its astronomical nadir". And it does so wonderfully. From the slow crawling haunting strings of 'Antenociticus Reawaken' it sets in motion a feeling of tension. Light tumbling guitar notes rest against atmospheric tones on 'Beneath The Bricks A Wave' as S.:'s poised tones, pitched here somewhere between Ian Read and Andrew King, touch upon ancestral ghosts, mystical alignments, sacred statutes, secret places to be found within the modern city. Short bursts of buzz guitar chords are interspersed between the passages of spoken words. The entire track reawakens old gods mapping out the upcoming musical landscape. 'Can You Feel It?' takes the form of a phone call from the perspective of an infected individual. Over hanging disembodied guitar notes and the light atmospheric hum of the city's streets the protagonist notes the transformation in the air and the buildings, the drawn-out colours, the birds that are now earthbound and the traffic that appears nervous. It's a vivid portrayal of the effects of the solar illness. 'Earth' features a solemn recitation of Blake's poem 'London' from the illuminated book Songs Of Experience. From then on in the concept becomes more obscure but the results nonetheless startling. The yawning synth stabs and layers of buzzing disorientating electronic rhythms of 'Enochian On The Wall' is a comparatively less intricate Coil-lite piece, ebbing out on resonating church organ like chime. The following track deals with the heady topics of time and evolution. Delivered in a well rounded spoken voice, it posits a theory about transformed reality drawing upon the past and projecting future scenarios. The fate of evolution delivered over precise guitar pluck, shape-shifting keyboards and the babble of human chatter. Compared to Genius Loci, Patient Zero is much darker but the textures are much more varied. Just listen to the stuttered and stabbing electronics of 'Gutterbright To The Starres' punctuated with excited wails and the fervent delivery of rhythmic texts, before is slips into an electronic shimmer as soothing tones speak of a fading sunset. Noted occult scryers John Dee and Edward Kelley are referenced on 'The Darkness In Light' an intriguing narrative ruminating on the modern magickal properties of glass, lifted by its hymn like chorus ("Light from the stars, in alchemical prism, Refracting the soul, cold demonic vision. Warped vector of light, held in quicksilver, Fluxed arsenic and sand, fused into mirror ...") sung over wafting angelic chorus and fragile guitar notes. The final track 'Walking With Omega' conjures up images of Elizabethan England with its majestic strings. It's wonderfully evocative contrasting archaic strings with a cinematic voiceover, gliding off with a hauntingly effective guitar solo and wailing police siren. The entire album is joined by ambient passages of location recordings and electronics bridging the gaps between the tracks offering a sense of continuation. Recordings were made at times of lunar or solar significance with location recordings taken from various spots in Glasgow, Newcastle and London. Others such as the Mount Vernon Arts Lab and English Heretic may have taken a similar approach but none have so immersed themselves in the landscape of the city and urban sprawl revisiting the past and creating new mythologies in the process. There may even be pointers in the work of Coil and Current 93 as The Psychogeographical Commission come loaded with occult knowledge of William Blake, John Dee and Hawksmoor's churches. And yet they distil enough obscure references of their own to ensure Patient Zero is as singular as the writings of Alan Moore. With Patient Zero they might just find themselves pounding the streets on their own. There's much to digest and much to decipher on Patient Zero. The Psychogeographical Commission have supplied the map but it's up to you to navigate the route. Be careful how you go. Retrée del britannico Guy Debord, introspettivo alchimista urban-folker nonchè sperimentatore di suoni associati alle più disparate indagini comportamentali. Il precedente album "Genius Loci" è stato ampiamente recensito dal sottoscritto, includendo nel servizio le coordinate biografiche e stilistiche di questo atipico progetto. In questa occasione la piattaforma osservatrice TPC sonda, in sintesi, gli aspetti e le reazioni pscichico-comportamentali di un ipotetico "paziente zero", individuo esaminato durante la sottoesposizione solare esercitata ad egli dopo il Solstizio d'Estate, esperimento a differenti stadi da cui scaturiscono sensazioni, reazioni ed attività cerebrale indiretta, elementi che vengono a loro volta codificati e tradotti musicalmente nell'album "Patient Zero" promosso dalla label Acrobiotic Records. Ed ecco quindi una track-list da interpretare come l'approfondimento di separate esperienze emotive, fotografate acusticamente in locations e circostanze di varia origine, tutte comunque riconducibili ad una inusuale mescolanza tra folk, esangue sperimentalismo post-punker, ambient e dark-electronic. Guy Debord ha realizzato il lavoro in un semestre avvalendosi della collaborazione di S (guitar/lyrics) e Hanako (electronics), concentrando il concept dell'album in undici tracce che si diramano inizialmente dall'ombrosa "Antenociticus Reawakens" e la sua lisergica, opprimente interfaccia tastieristica lacerata nel finale da un acuminato pad elettronico. Scritta e musicata dal solo-project electro-ambient Missing Transmission impersonato da RB, "Beneath The Bricks A Wave + Alphaville 1" dispiega tranquille atmosfere psycho-folk tessute da canto in sordina, basso e periodica elettrificazione chitarristica. "Can You Feel It?" articola un meditabondo spartito di guitar e descrittivo dialogo vocale, mentre la più introversa "Earth + Alphaville 2/Arthe-Rthea-Thear-Heart", ambientata a Soho Square e composta anch'essa dal guest Missing Transmission, disegna un anemico pentagramma di corde e testi in modalità commentata. L'elettronica darkeggiante, lenta e scandita, struttura la ritmica e i sinuosi movimenti di "Enochian On The Wall + Alphaville 3", così come il recupero di modulari melodie di chitarra e voce recitata originano "Time Sigil". Spettrali apporti di electronic-effects tracciano ora la rarefatta "Fertile Omnipotence Of The Underside" oltrepassata dalla successiva "Gutterbright To The Starres", sciamanica traccia concepita presso i Botanic Gardens di Glasgow, dalle pacate liriche proferite con animo pensoso. Altrettanto quieta ma ben più malinconica, "The Darkness In Light" espone un canto abbattuto, intorpidito dai leggeri pizzichi di guitar ed impalpabili accordi di key. Giungiamo alle fredde e mute procedure tastieristiche di "Twenty Seven Openings + Alphaville 4", ancora interpretata da RB a cui segue la traccia di coda, "Walking With Omega", disposta semplicemente su pochi, nostalgici accordi di guitar e basso seguiti dal consueto spartito vocale sempre inclinato su tonalità depresse. Album scuro, monocromatico, intellettuale, gestito con lucidità professionale estremamente acuta. Le musiche, interamente crepuscolari, esigono una serie di ascolti mirati per poter liberare tutto il significato intrinseco che le caratterizza, ma ciò, si sa, fa parte dello stile comunicativo di Mr. Debord il quale con "Patient Zero" compie un ulteriore passo avanti nell'esplorazione del comportamento umano che in questo episodio risulta assai incupito, quasi atterrito dal ridotto range luminoso. Per uditi esperti e disincantati. -|-|-» Catartica, logica, essenziale. Release comparabile ad un impegnativo trattato di psicologia, la cui centralità si insinua nei recessi della mente osservandone gli aspetti e tramutando le conclusioni in note. Se avete ascoltato il precedente semi-identico capitolo, sapete cosa avrete nel lettore. When I received the pre-release, my initial concern was whether The Psychogeographical Commission could maintain the same quality of execution as they did so flawlessly on their debut release 'Genius Loci'. They succeed. What I love about this project, is how they give the listeners layers upon layers to unfold side by side with the music it self. 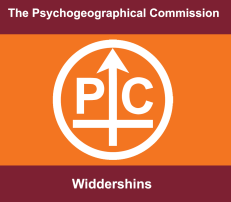 The Psychogeographical Commission is not the kind of band that shove information and pre-digested imagery in your face. Their graphics are a treasure chest for someone like me who are into history, the occult, symbols and philosophy. I keep digging deeper and deeper into their imagery. The Psychogeographical Commission has once again cast their spell on me. And as I venture into S and Hokano's world of sound, my shoulders relax, my pulse slows down. This epic drama, this apocalyptic cinema, takes place right here and now. This release has a much darker vibe then their debut, as initially revealed by the title itself, "Patient Zero". IE the first infected. The themes are not as simple as life and death. Rather, the album deals with the cycle of everything, from the sun, the moon, to life, since it is all connected. And everything is perishable. One might say that their music functions as a soundtrack to this psycological movie they evoke with all their imagery. To those of you who are unfamiliar with the Psychogeographical Commission, they could be placed in the neofolk/post punk/dark electronic genre. Their debut CD felt more in line with Legendary Pink Dots and Labradford and Death In June, and Patient Zero is maybe closer to say Current 93, Coil and Nurse With Wound. This release has more experimental soundscapes, and as mentioned earlier, a darker edge. But the tracks still have this very characteristic melancholic sound throughout, - a relaxing ray of light that lifts everything to a higher level of consciousness. The tracks glide into each other, and there are no tracks that stick out like sore thumbs. Track #5 "Enochian on the wall" is one of my favs, as is #8 "Gutterbright to the starres", mostly due to their more experimental sound. S (mrsix) and Hanako attempt to psychologically portray the mind of a Patient Zero and how being infected with the solar downturn at the summer solstice, affects him and his urban surroundings. And they do it well. They explain that the album was written throughout a 6 month period, at times of lunar or solar significance in multiple locations in the UK, "and the tracks all portray a thought, feeling or experience of the time of it's own conception". I will mention that the concept for this release is more complex than that of their debut release, which was very to the point. I get the cycle of sun vs life-theme, but I think there might be too many references involved for most people to wrap their head around. Sometimes less is more. I would have preferred it if the CD didn't come with a written manual. Don't over complicate, and don't explain too much. The cover is a collage of pictures, texts, symbols, historical references and so much more. What I love about their covers is that they educate people. Well at least those who have a curious bone in their body. This cover is a library, and it's all, literary, held together by O. Omega. A red, synthetic thread is wrapped round thumb tacks in the shape of an O.. Omega is a symbol with multiple layers. From being the last letter in the Greek alphabet, to the new testament: beginning and end, to physics: Ohm, onto astronomy: the density of the universe, and that's just the beginning. Omega is the last - always. Zero Patient is not about religion - it's about reality. No gods, no masters. No heaven, no hell. And we all die. We all get infected. And none of us will be saved. How fitting is it then that "Walking with Omega" is the last track. The front cover contains a man standing at the end of a tunnel. The linear metal constructions in the ceiling creates an illusion of a man walking into the sun, into the light at the end of the tunnel. 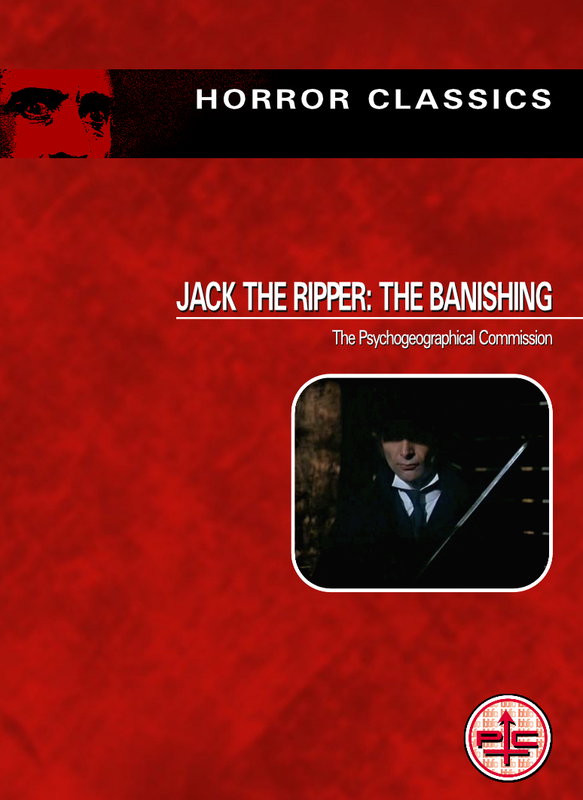 The Psychogeographical Commission has surgical precision in their execution. I miss lyric sheets though, it would have been nice to have a good read as I'm sure the lyrics would reveal even more layers for me to dissect. The titles certainly leads us in multiple directions with their historical and metaphorical meanings and even symbols. The vocals are soothing and calming, more along the line of spoken word or poetry. This is another aspect I like about these guys, they don't try too hard. What the vocals are missing, the rest of the project makes up for by the bag full. The combination of guitar, electronic music and the soothing, whispering are lovely, it's like riding an electric wave in slow motion. On this release they collaborate with Missing Transmission on the tracks labeled Alphaville 1, 2, 3, 4. I don't know anything about Missing Transmission, I have a slight feeling it could be a side project. The music industry needs projects like this, and I honestly hope The Psychogeographical Commission get's the well earned attention needed. They've got the intention, the skills and the drive. I deeply recommend this release. And once the last track fades out, get on your laptop and start to decipher the magickal map you find in the cover art. Zero Patient will learn you how to deal with life, sickness and the fear of death. It's all about the present - the present of life. Patient Zero is music for explorers. This release does not cater to the masses. But they certainly master the art of catharsis. For their second release, The Psychogeographical Commission, an esoterically preoccupied and shamelessly philosophical English pagan electronic and folk duo, have unleashed "Patient Zero", something of an intense and ambitious semi-dystopian narrative concept album, a crystalline astrological tapestry in which the placement and content of every scene has been carefully considered and reconsidered in order to best reflect a distinct moment in the cosmic cycles. It's an easy album to enjoy straight away. The vocalist, conceptualist and instrumentalist, identified only as 'S.' in the album jacket, has a simply perfect baritone voice for music like this, equal parts Death In June's Douglas Pierce and Coil's Jhonn Balance... and dare I say he has more of a head for melodious, clever songwriting than either? The glittering, mesmerizingly simple droning strums of neofolk are augmented with lush beds of very musical electronic harmony and orchestration, for a vibrant diversity of tone. Sing-song nursery rhyme phrasing applied with graceful restraint, resulting in many catchy and hypnotic verses. His dense lyrics are marvellous and reveal their clever meanings over repeated listening. In "(Time Sigil)", he speaks of mankind as a whole and makes truly profound utterances: "Throughout this all, the hairless ape struggles to adapt / to the rate of the evolution he carved out for himself / surfing larval seas of tarmac, he dances around the carpark / his tears merge with raindrops, water cycling through man." 'S.' has also got an intense depressive streak, and it's not the momentary 'bad trip' feeling that seemed to whimsically and suddenly overtake the aforementioned hallucinogenically enhanced groups, rather his soul is presenting a fully developed and soberly worded existential objection - a despair ridden narrative ode to the inarguable wrongness of the status quo. Melodramatic, yes, but almost heartbreakingly sincere. "Patient Zero" is the document of a person who cannot help but feel. "It feels like winter but it's not even a cold day... the sky just seems so heavy on the buildings", he muses on "Can You Feel It?". Elsewhere he talks longingly of "breaking the spell of modern life", and of having "opened up to God, but at the mercy of the voices." These are the words of the chronically overwhelmed by the woes of he world. There are barren, forlorn soundscape soujourns between the folkier songs, equally masterful in construction but not as initially noticeable as the vocal tracks. The opener "Antenocriticus Reawakens" is a rising cinematic orchestral drone, sounding convincingly organic despite evidences of low production budget elsewhere in the production of the album. The multi-movement "EARTH + Alphaville 2 / ARTHE / RTHEA / THEAR / HEART" is one my favorite parts of the journey that is "Patient Zero". First, chorused and minimal bass playing echoes out over a suffocating and claustrophobic ghostly plane, accompanied by monologues from 'S. ', then warped hallucinatory female singing rises and falls in arrhythmic swells, sounding quite similar to parts of Coil's soundtrack to Derek Jarman's "The Angelic Conversation". At times it seems they are retracing Coil's steps, though even their ability to keep pace with relentlessly creative and unstable madmen of that ilk is itself impressive and rare. As this band is likely lacking in equipment, the electronics on "Patient Zero" do not have the vivid, clean hyperreality of Coil's transcendent productions, but they maintain a marvellously three dimensional and deeply surreal spacialization, possibly most evident on "Enochian on the Wall", a track that makes direct homage to Coil's oddly downbeat fractalized acid trance styles. With both members of Coil dead, it's wonderful to see the legacy of English pagan music is being continued with such convincing style, creativity and intensity. Every moment of music on this album indicates great passion and effort, and "Patient Zero" has become one of my favorite albums of recent years. In my mind, all that 'S.' and The Psychogeographical Commission need do to reach the heights of their influences and predecessors is to continue to create music of this sophistication and depth.